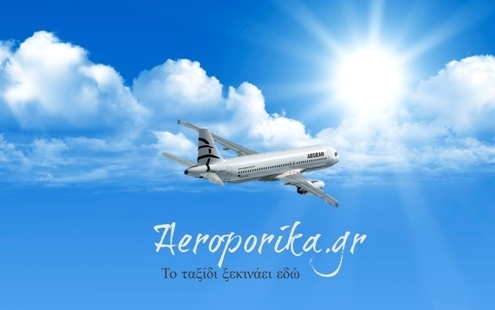 Aeroporika.gr in cooperation with Petas.gr and the support of Linkwise offers cheap flights from Greece to the entire world. With the combined search system you are now able to find, easily and fast, the cheapest flights in the lowest prices. Search now and find the airlines’ latest offers through Aeroporika.gr and benefit from these unique offers! Through our pages you can also find presentations of the biggest air companies as well as useful travel information on all the country’s airports and all the cities’ codes and airports. With the combined search for flights you have access to more choices and you can make a reservation with two different companies for each trip e.g. for the itinerary Athens - Paris you can book a flight with Easy Jet whereas for the return you can select a better offer with Aegean Airlines. With this way the lowest prices that are offered by the airlines are combined in the travelers’ advantage. In Aeroporika.gr apart from the traditional air companies, you can also find a large number of low cost companies - EasyJet, Wizz Air, Air Berlin, etc. - that offer cheap flights for reservations that will take place later in the future (usually the low cost air companies work with the high dynamic pricing system in which the prices of flights are determined in connection with the existing demand and the remaining time before the departure). Therefore in only one search you can decide on a big range of companies and make all possible combinations with each one. Aeroporika.gr… the journey begins here!! !